This winter puzzle makes a fun winter activity for kids. 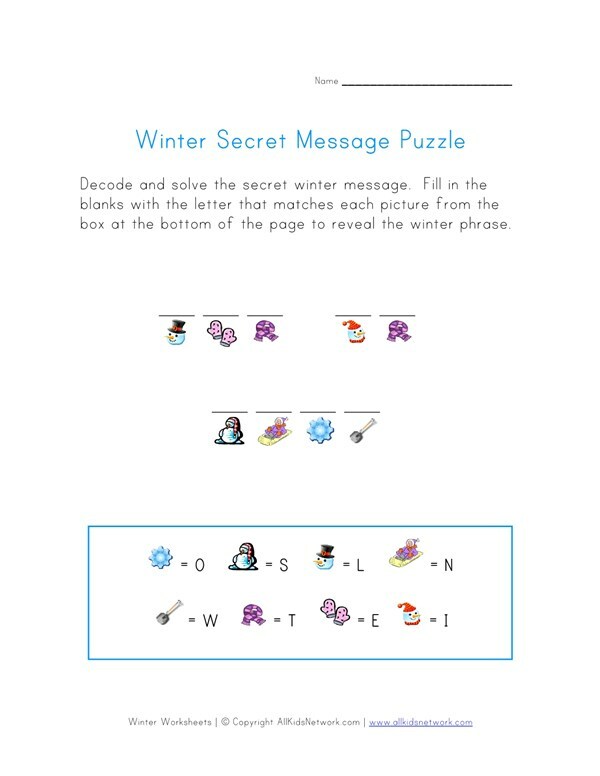 Use the key to match the winter images with the letters and then write the appropriate letter in each space of the secret winter message. 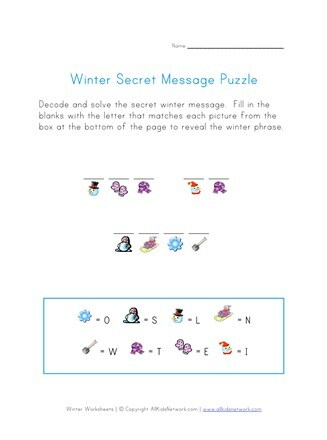 When you have all the letters filled in you will find a secret winter message!